Starting last December, we've been blogging about some of the "under wraps" victories we've had for our clients over 2017. In light of the fact that the Vikings are going to the Super Bowl this year (and I REALLY hope the Saints don't prove me wrong this weekend) we've been comparing some of our wins to the 2017-2018 Viking season as well. Apologies for anyone reading this who isn't a Vikings fan. With that theme in mind, we've talked a bit about what happened to the Packers when Aaron Rodgers went down (and getting Ignition Interlock violations thrown out of court) and then discussed the rise of Case Keenum (alongside our new method for getting felony DWI cases dismissed). 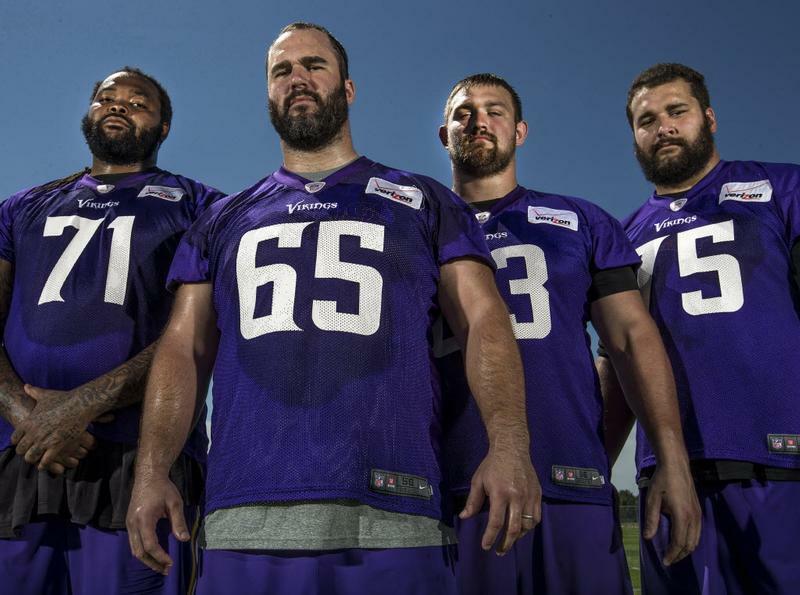 Today's topic is the Vikings offensive line . . . and Minnesota's unconstitutional DWI forfeiture law. Last season, the Vikings had one of the worst offensive lines in the NFL. Pro Football Focus ranked them 29 out of 32, T.J. Clemmings had a record-setting year of terrible, and the Vikings collapsed after a 5-0 start to the season. The Vikings front office saw that the offensive line was, well, offensive, and new that changes needed to be made. They attacked the problem head on in the off-season, releasing some players, picking up some new studs, and shuffling everyone else around to create a better total package. By focusing on a major problem, a problem that had plagued the team for all too long, the Vikings managed to make real progress and rack up wins they never would have otherwise seen. We had the same problem in 2017, a problem we'd been struggling with for years -- Minnesota's DWI forfeiture law. Civil asset forfeiture is a hot topic, being dubbed "policing for profit" by those opposed to the practice, and praised as a new weapon to use against criminals by those who support it. But civil asset forfeiture in Minnesota is also a broad topic, and there is a big difference between the State seizing laundered drug money and taking someone's personal vehicle. But the most troubling aspect of forfeitures is that they happen outside the judicial system. Police make the decision to seize a person's property while they are still presumed innocent, and even getting a hearing in front of a judge will usually require someone to hire and attorney and pay all the fees associated with a court case. That's a problem with all forfeitures, but Minnesota's DWI forfeiture has a bigger problem. When the police seize a vehicle pursuant to a prostitution arrest, or from a drug dealer, or from someone who fled the police, that seizure triggers a lot of safeguards -- a preliminary hearing within 96 hours, and the right to a prompt, meaningful hearing soon thereafter to challenge whether the State actually gets to keep the vehicle at all. But a vehicle seized after a DWI arrest gets none of these protections -- no right to a prompt hearing (or any hearing at all). This is a huge problem, especially when a vehicle is likely the most expensive asset the person owns outside of their home. We use vehicles to get to work, get to school, transport our children, and more. Taking that -- seizing it for profit -- is a severe punishment that's dealt out well before the driver even has their first appearance in court. When the stakes are this high, the process used is just as important as the final outcome. We argued that this practice is unconstitutional -- and we won. You can read the order here, where the judge ruled Minnesota's DWI forfeiture scheme is unconstitutional. This is an issue we'd been fighting for years -- but we made it our focus in 2017, and now we're seeing results. Since that victory, at least 5 other judges have also issued orders finding Minnesota's DWI forfeiture law unconstitutional. And tomorrow, we're going to be at the Court of Appeals, in our new attempt to get the whole law struck down statewide, instead of having to raise this challenge on a case-by-case basis. The Vikings suffered through the 2016 season with an offensive line that got progressively worse. Our clients suffered the same fate for years under the DWI forfeiture laws. And it was about the same time that the Vikings were making big moves to rebuild their offensive line that we were making our big moves to raise a long-overdue constitutional challenge to our DWI forfeiture laws. The Vikings had incredible success as a result of their actions -- the only question remaining is whether they can bring it all together and win the hometown Super Bowl. We've had similar success attacking Minnesota's DWI forfeiture law, and the only question remaining is whether we can get Minnesota's appellate courts to agree with us, and bring home our own version of a Super Bowl win. We'll find the answer to both questions in 2018. For now, the Vikings are preparing for the Saints, and we're preparing for oral arguments. Wish us all luck.